Living in apartments and units is the lifestyle of choice these days – for many proximity to work and recreational opportunities as well as low maintenance are a priority. As with most things in life, this involves a trade-off – in this case, limited space for storage and activities such as gardening are part of the equation. There are many options available to help optimise space usage, such as weather proof outdoor storage units which can sited on patios and balconies, and also a number of mini greenhouse units for those who want to grow their own vegetables and flowers. We can look to other cultures for a few ideas also! Living in smaller spaces is the normal way of life in many European and Asian cities – and people with an interest in gardening have long since developed and maintained balcony gardens or small gardens in a courtyard or patio. Bonsai has been an integral part of balcony gardening for decades; the fascination of a real living tree which is only a few centimetres high is something few people can resist, and surprisingly, bonsai are not difficult to care for if you observe some basic rules. Bonsai expert Chris Xepapas of Heritage Bonsai has agreed to share an introduction to the art of selecting and maintaining bonsai – we will be publishing this over the next few weeks, so keep in touch! When pondering this question we often think of little trees in small pots and how we would love to have one! But is bonsai merely a tree in a pot? The word Bonsai translates as a “tree in a pot or shallow dish”, but does the definition stop there? Can we just plant a tree and call it a bonsai or is it merely a stick in a pot? The answer to that is not a easy one. Bonsai is a tree in a pot which follows a set of principles that have been developed over a thousand years in China and then perfected in the last 300 or so years in Japan. The level at which we choose to follow bonsai will determine the quality of bonsai we ultimately own; in other words the time we put into a bonsai in all developmental stages will determine the end result. 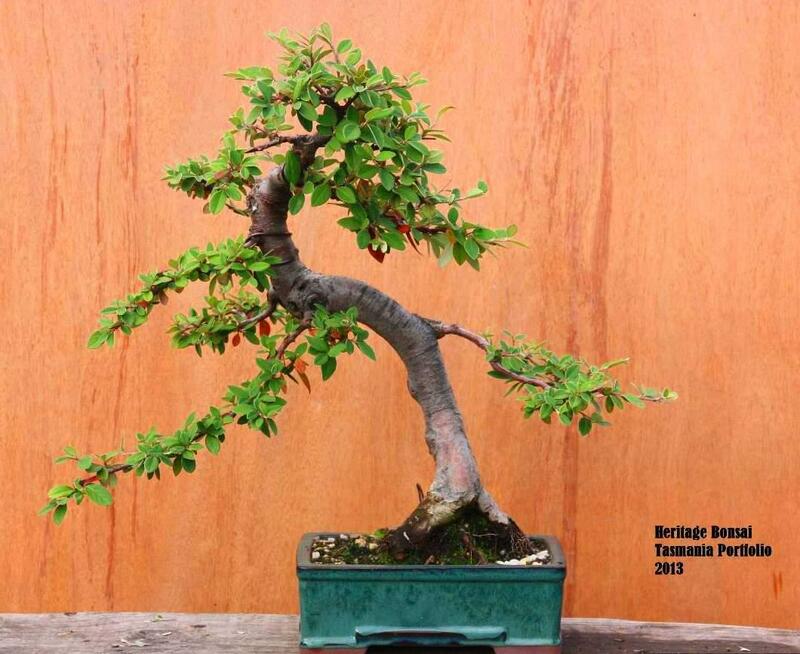 Acquiring a bonsai can be done in several ways. The first and most obvious way is to visit a specialist bonsai nursery and purchased a bonsai ready to go. This has its advantages and disadvantages. You can have a instant bonsai with great enjoyment, lots of support from the specialist bonsai nursery, and possibly aftercare. This situation would suit professionals who don’t have lots of spare time on their hands. The quality of the bonsai would vary greatly depending on price and the skill level of the nursery. The second way to acquire a bonsai is to do it yourself; that is to purchase or dig up the appropriate material (yamadori) and create a bonsai from the “raw stock” and then pot it into a bonsai pot. This requires a whole new set of skill levels which in turn can give the beginner a great sense of achievement. This method is by far the most popular method. The third way is to propagate your own tree from seed or cuttings and slowly grow the tree over a number of years, training the tree through wiring and pruning as it grows. This is the best method to use if you are seeking perfection, but obviously it takes the longest time to produce a bonsai. Bonsai come in various shape and size categories. Size can range from miniature to one metre high. Styles can also differ from formal upright to full cascade. I also get asked, what tree do you use for bonsai? Quite simply any tree or shrub that produces wood can be bonsai, but of course some species are more suitable than others. My advice is to go with what attracts you the most; for example, if you come across a pine tree at a nursery that has a nice curve or a good set of branches that you find appealing then that’s the tree to buy! Want to know more? In the next blog I will discuss the popular styles of bonsai, sizes and species used around the world, as well as our own Australian varieties.